Hello again! 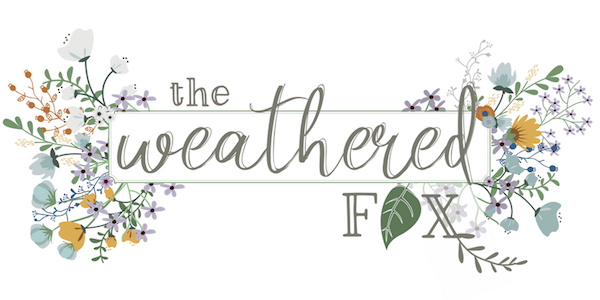 I’m glad to be back here at The Weathered Fox to share with you how I built a pair of large cedar planters from rough cut lumber. My husband and I finished building our house around Christmas last year. This spring we have been working on landscaping and making the exterior of our house look less like a construction zone. Raking dirt and growing grass is not very exciting and takes a long time to see improvements. I like instant results, and there’s no better way to liven up the exterior of your home than with planters full of bright flowers. However, I didn’t have a large budget to buy new cedar planters, so I decided to make a pair with wood I already had on hand. My husband Tony works for a Hydro company, and one of the perks is that he occasionally gets to take home used hydro poles. And did you know that hydro poles are made of red cedar? Tony also knows someone who has a saw mill and we got a stack of poles milled into rough cut cedar planks. 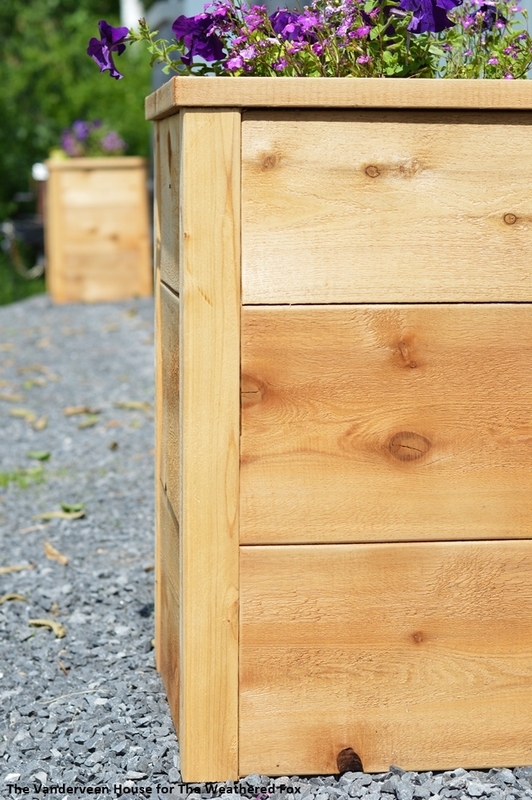 I thought it would be perfect to use these cedar planks to make two large outdoor cedar planters. 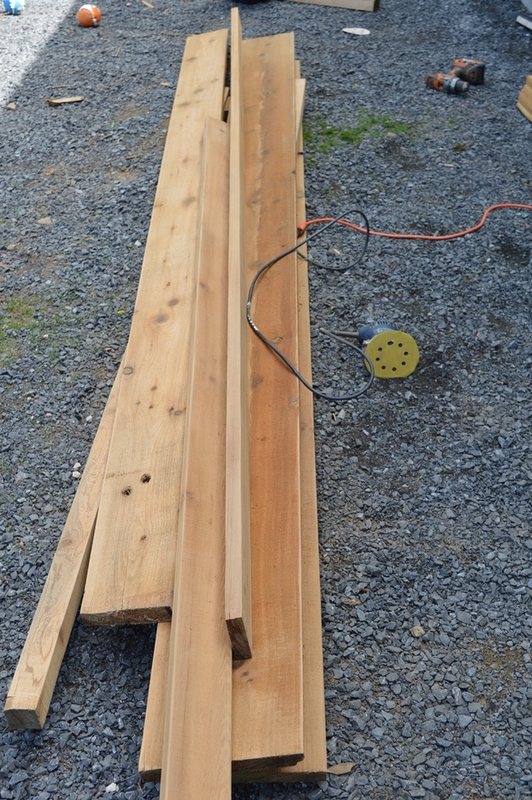 If you aren’t lucky enough to have hydro poles lying around, you can buy cedar from a lumber store. 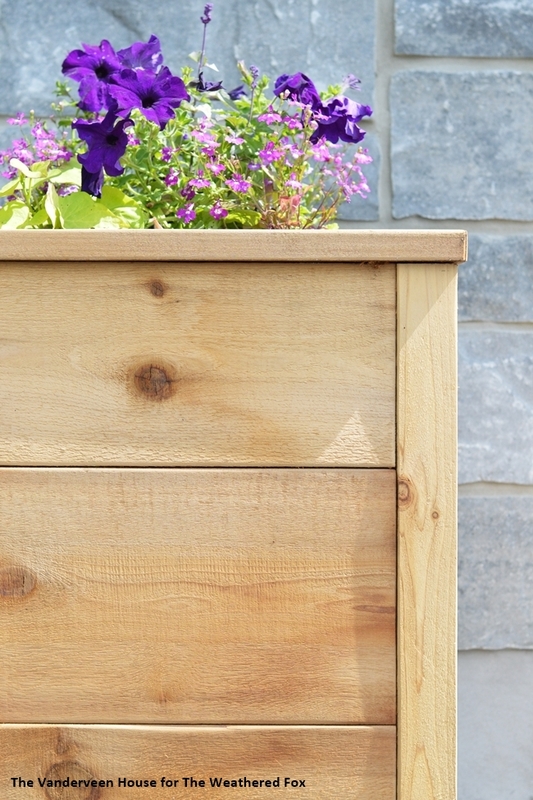 You can build this planter with any type of wood, but the nice part about cedar is that you don’t have to finish it. It’s naturally weather resistant, and has such a wonderful smell. 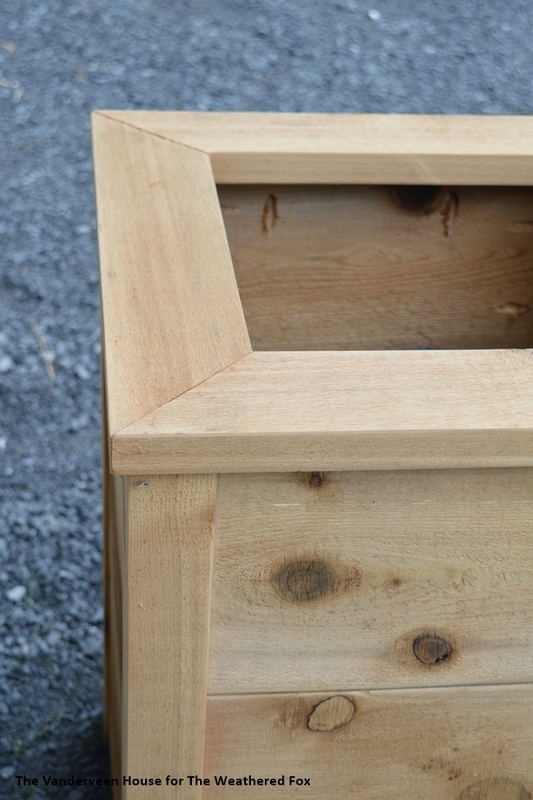 These are the supplies you will need to make two planters the same dimension as mine (18″ by 18″ by 26″ tall). If you want a different size planter, you’ll have to adjust your material list accordingly. I’ve provided links to some great tool options, but there are many different options depending on your budget. If you’re just starting out in the DIY world, here is a great list of the best tools for beginners. 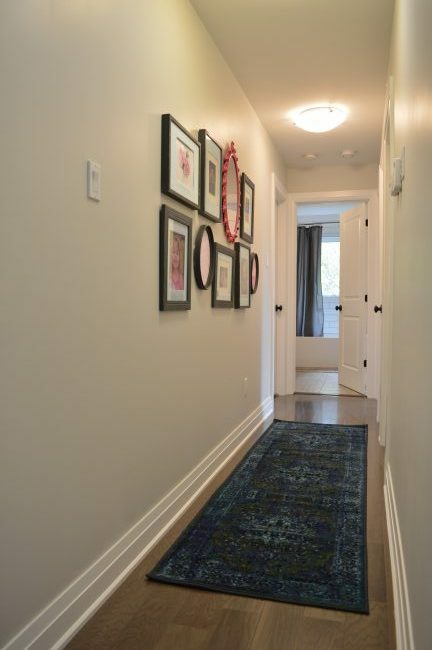 I used three cedar planks that were approximately 12 feet long, and varied in width from 7″ to 9″. 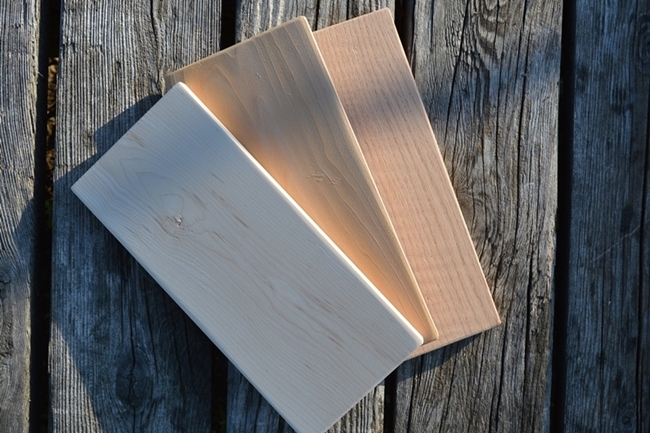 For the corner pieces Tony cut some of the cedar into 2″ x 2″ pieces using his table saw. 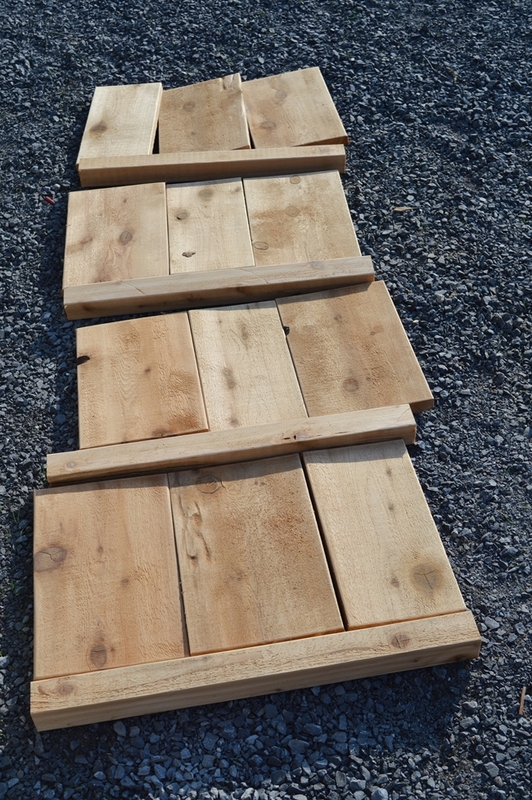 Tony also cut a couple planks 3.5″ wide for the top pieces. I cut each cedar plank for the sides into eight pieces using a miter saw, and used one piece from each plank for each side of the planters. I cut all the side pieces 14″ long. The corner pieces are 2″ by 2″, and I cut them 25″ long. Between the three 14″ long pieces for the sides, and the 2″ wide corner pieces, each side has a dimension of 18″ wide and 25″ tall. Next I lightly sanded all the cut pieces using a palm sander with 100 grit paper. 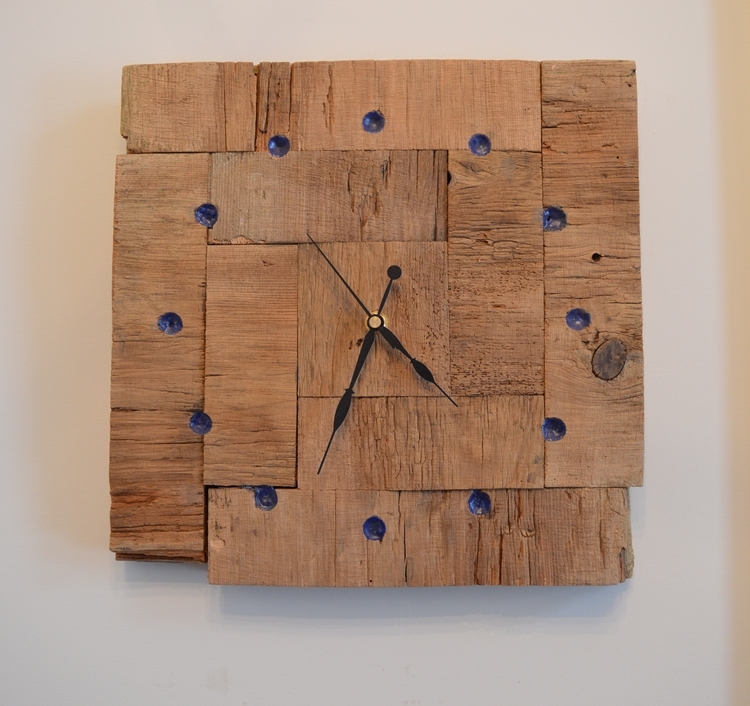 This removed any big splinters and made the pieces not quite so rough, but still left them looking rustic. I also rounded all the edges to give it a more professional finish. First I attached the three panels for each side to the corner posts. 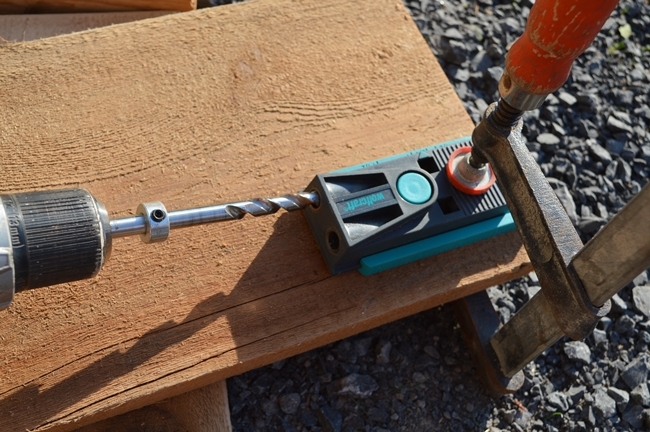 I used my pocket hole jig to attach each side panel to the 2″ x 2″ corner posts. 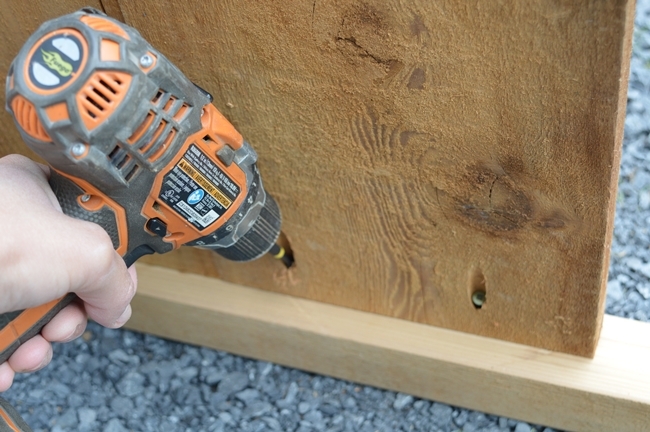 Then I drilled two pocket holes for each board on each side. I think you’re supposed to use a clamp when you use this jig, but I got lazy and started holding it after clamping once or twice. 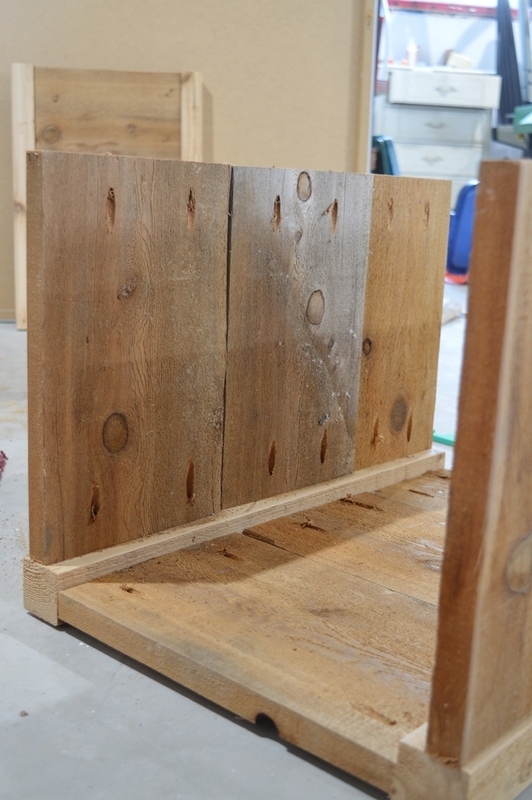 There were a total of 64 pocket holes, per planter, so clamping and un-clamping would have taken too much time. I tend to take shortcuts like that, but do whatever works for you. After drilling all the pocket holes with my cordless drill I used 1.5″ galvanized deck screws to put the planter together. 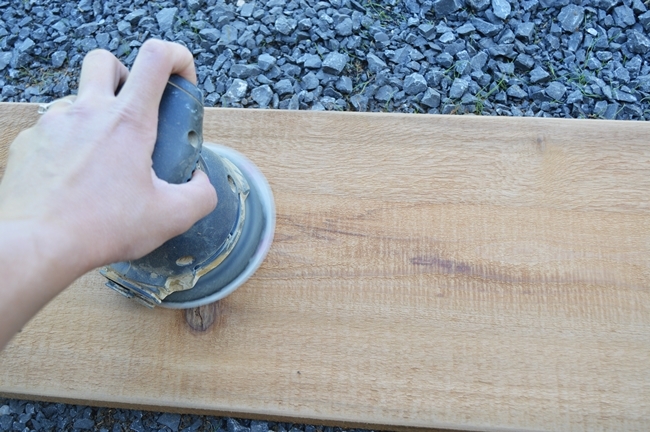 To finish the top of the planter I mitered 3.5″ wide cedar boards so they would form a square with an outside dimension of 19″. This extra inch allowed for a small overhang around the edges. I again made pocket holes on the bottom side of each corner. 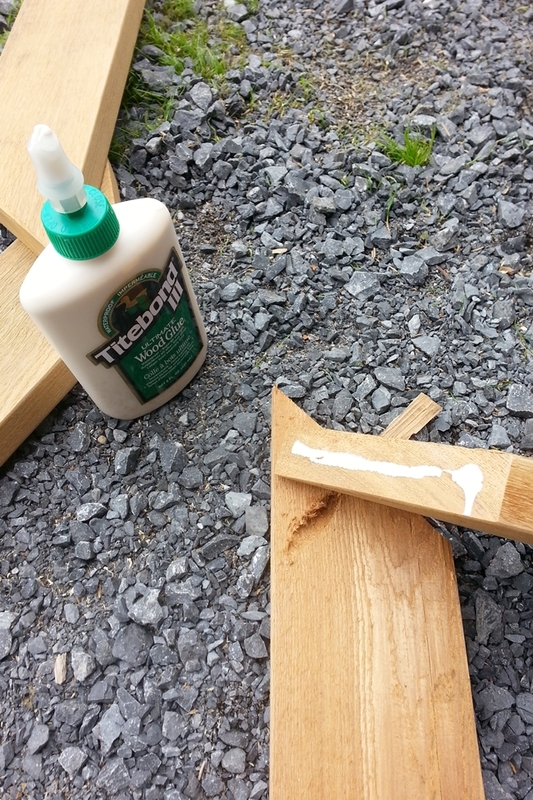 I used two screws for each corner, after first applying a bead of outdoor wood glue. Once I had the top square together I attached it to the planter using my pocket hole jig. 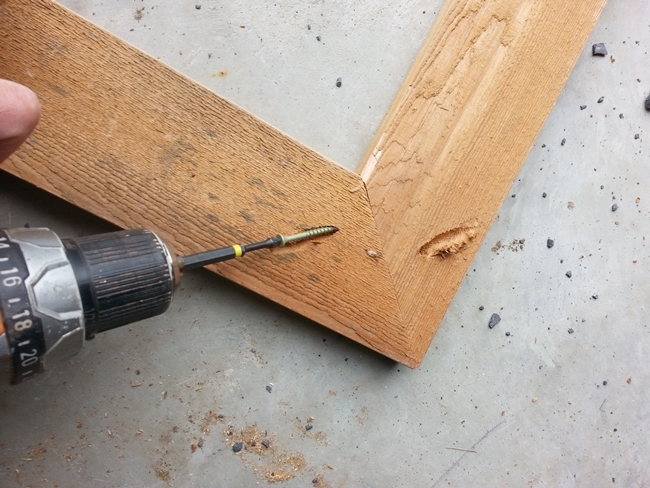 With the cordless drill I screwed up from the planter into the square top with a total of eight screws. Step 6: Add Your Flowers! 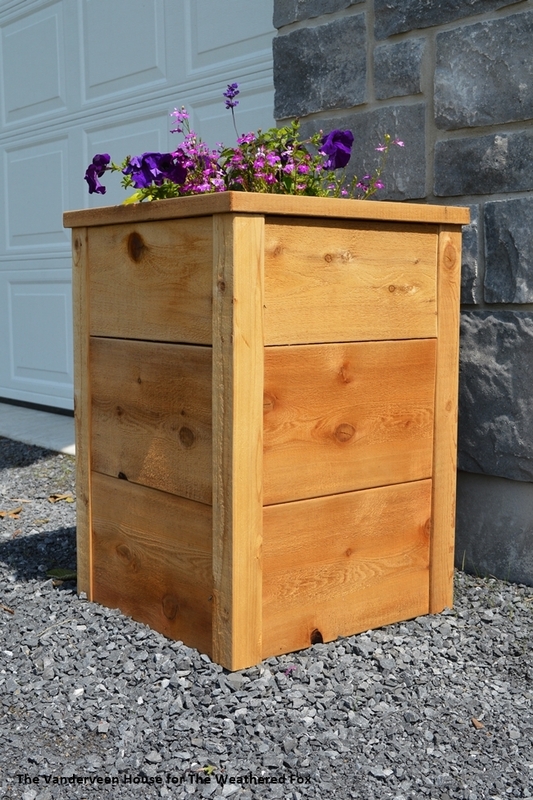 This cedar planter is basically just a sleeve around a plastic pot. I had some plastic pots that I rescued from the garbage, so I just rested them on concrete blocks to raise them up high enough. If I were to build these again I would probably add a false bottom so as not to fill the whole thing up with soil. But this way works fine too. 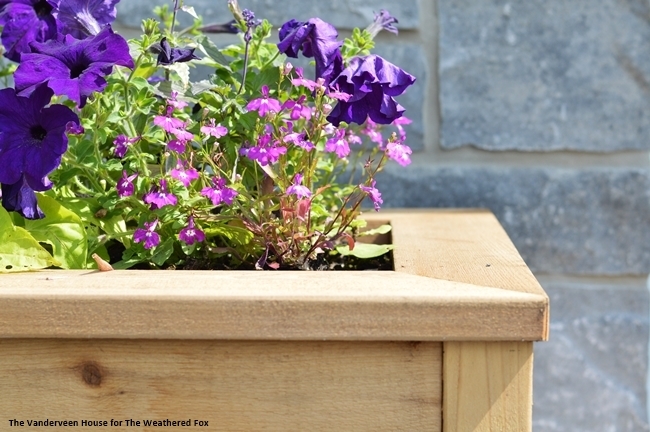 The nice part about this cedar planter is you can make it any dimension you want depending on where you want to use them. 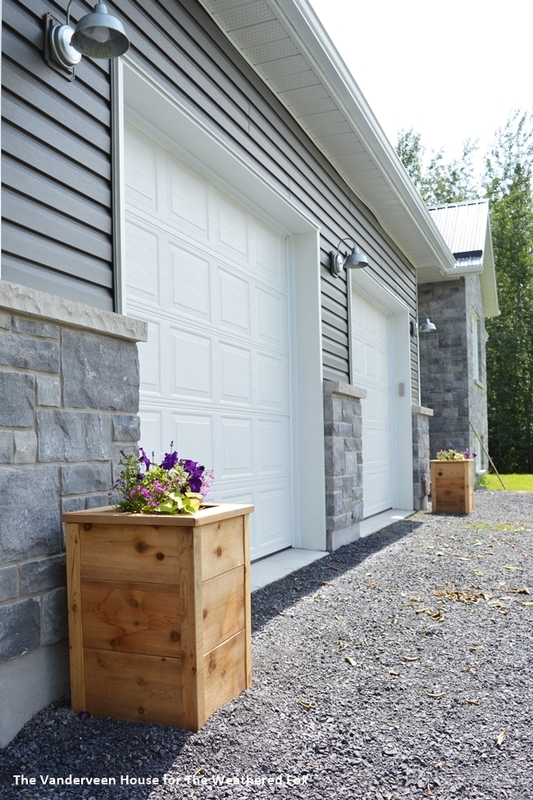 I wanted two substantial looking planters for in front of our garage, so these dimensions worked great for me. Then I filled up my pots with soil and planted a variety of green and purple annuals. I usually like to pick some trailing plants, some uprights, and then a few other fillers to make it look nice and full. 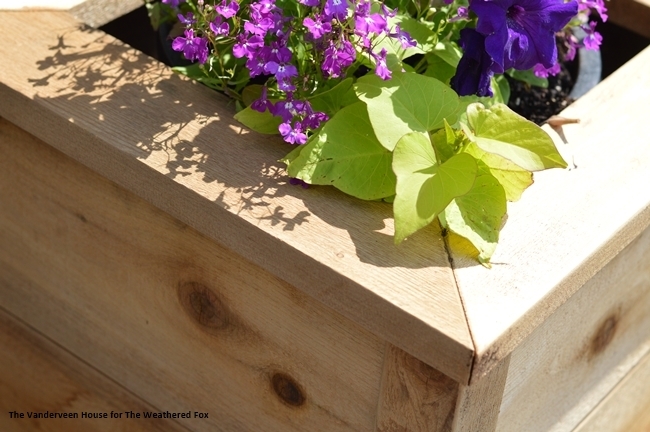 I love the look of the rough cut cedar boards for this planter. They look polished and professional, yet still somewhat rustic. I’d love to know your thoughts! 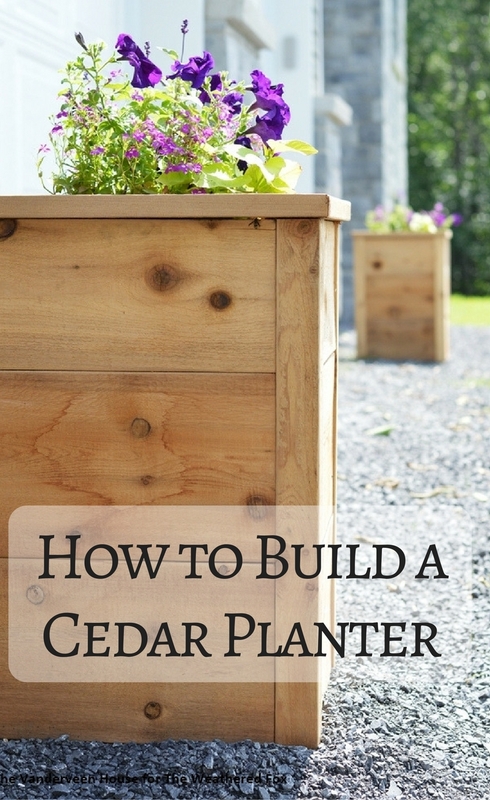 Have you made a cedar planter “sleeve”? 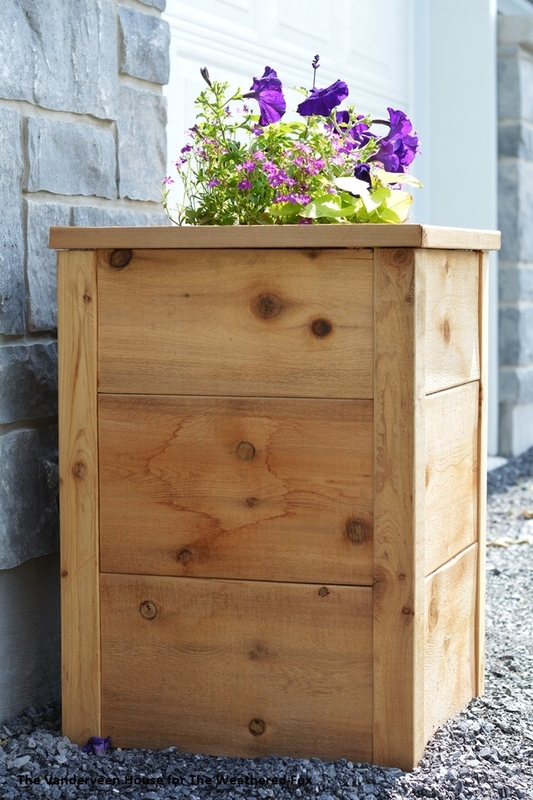 What would you change about these designs if you were to make this cedar planter? Hi Jessica, I love these planters and I even have a miter saw in the attic. My friend gave it to me when she moved back to the states. Only thing is I am a little scared of using it lol. But one day I’ll brave up and will make a lovely project with it! Thanks Habiba! 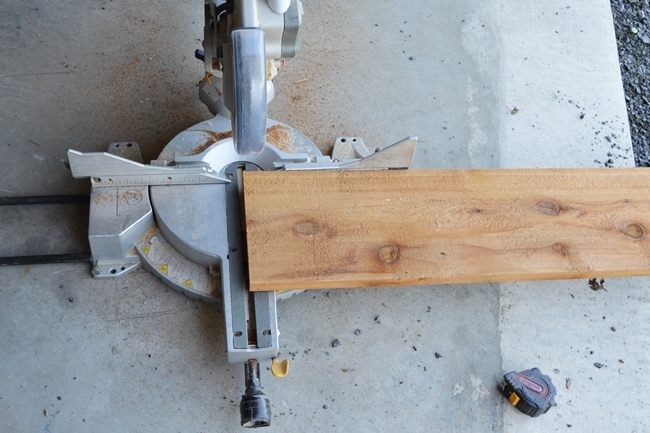 There’s a few tools I’m still afraid of using, but I find a miter saw is one of the easiest and safest to use. You can do it!